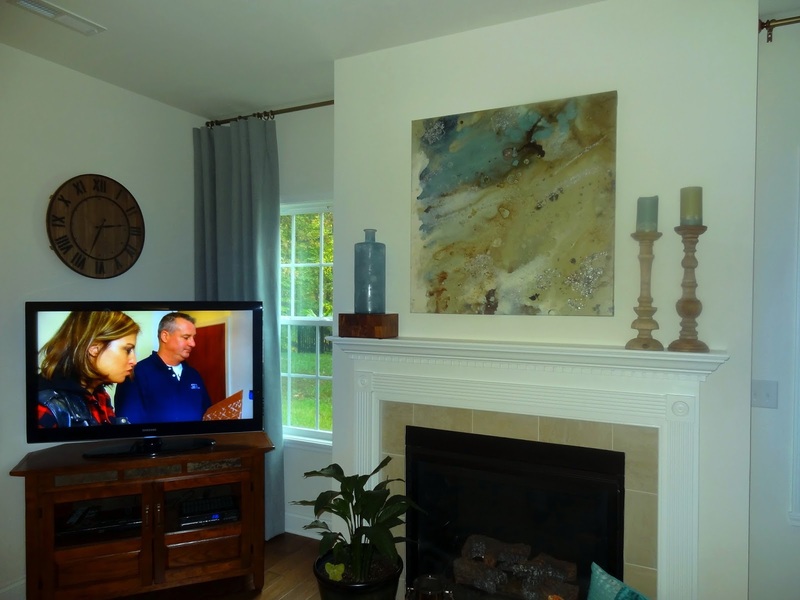 Mirror vs art over the mantle, which is best? 5 pros and cons. To decide between mirror vs art over the mantle, there’s one important question to ask yourself: What is the view when I place the mirror over the mantle? In this room, the reflection of the mirror over the mantle is of a beautiful coffered ceiling!! Notice it’s a stunning view of beautiful moldings. Also, there’s art on the left and right side of the mantle, which made a mirror the perfect choice over the mantle. But sometimes, art is a better choice, and we’ll provide before and after photos to show you why. 1) A mirror is often less expensive than art. The above client’s room had 21′ tall ceilings! Since such as large piece was needed the 64″ tall mirror was much less expensive than a large piece of art. 2) A mirror makes accessorizing easy! Any accessories can go with it, as long as the mirror frame is simple and not too ornate. A mirror allows you to decorate each season, winter, spring, summer & fall! 3) A mirror can reflect light if there is a window close by. It doesn’t always work, it depends on the location of the windows. Sometimes a mirror is only a reflection of a messy bookshelf, or a tv, or a blank wall. 1) Lack of wall space may make art a better choice than a mirror. Below, due to all the windows, there wasn’t another spot for art. In a case like this, art over the mantle is a nice choice. It’s the only option so you can add color and texture to the wall! 2) Is the reflection from the mirror unattractive? Ask yourself this! If it’s reflecting something ugly? Perhaps a messy bookcase? That old ceiling fan you’ve been meaning to replace? If so, art would be a better option. In the before and after photos below, though it’s hard to capture in a photograph, the room felt Instantly Larger once we moved the small mirror and replaced it with larger art. The client was thrilled with the end result, and when her college age children came home to visit, they couldn’t get over the transformation! Art and outside mount drapes really changed the room. 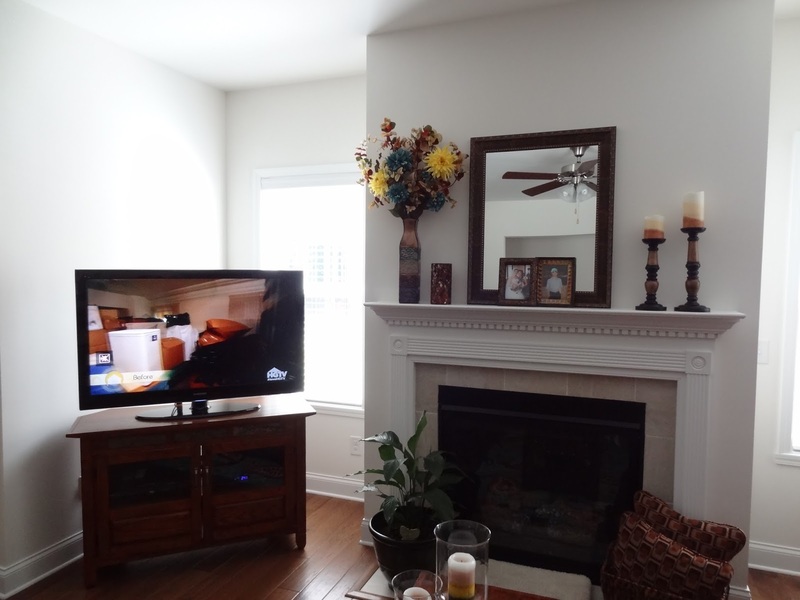 To decide between a mirror and art over the mantle, the decision is really easy after you consider the pros and cons listed above. A mantle is the focal point of the room quite often, it’s an important spot to hang just the right piece. Questions? 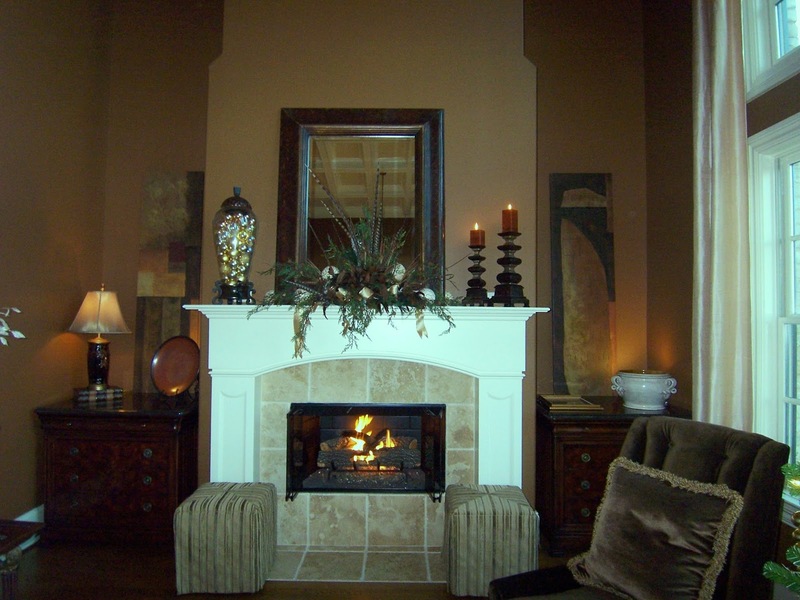 Email or call us today!Comments or ideas of for mantles and fireplaces?